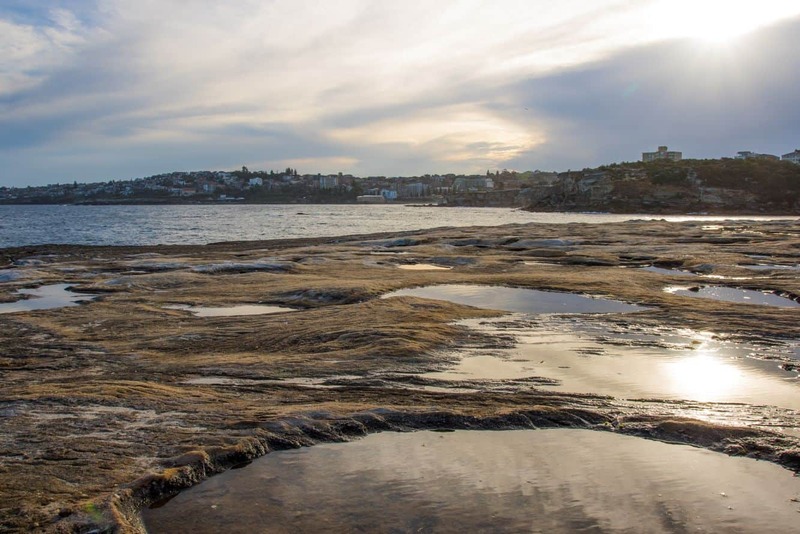 Clovelly Beach is a tranquil location tucked away at the end of a narrow bay with beautiful seaside views. 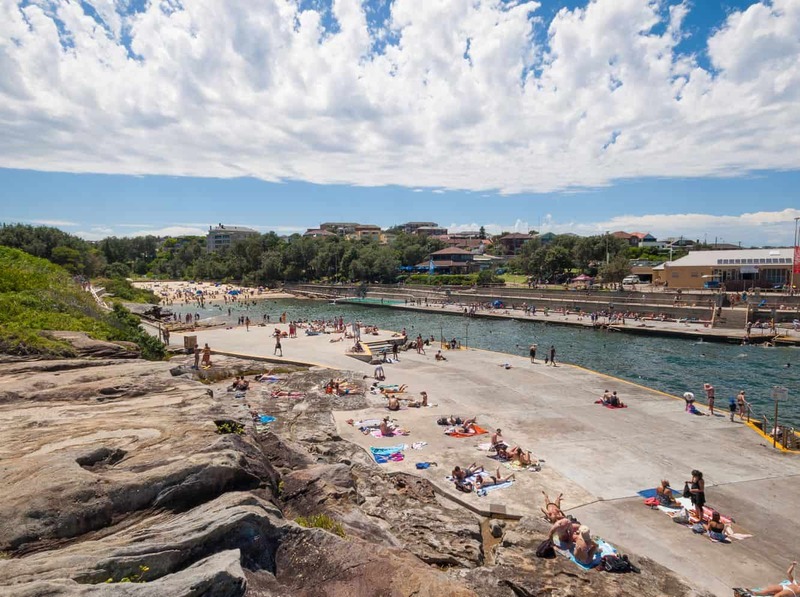 This popular family-friendly island is one of Sydney’s best kept secrets. 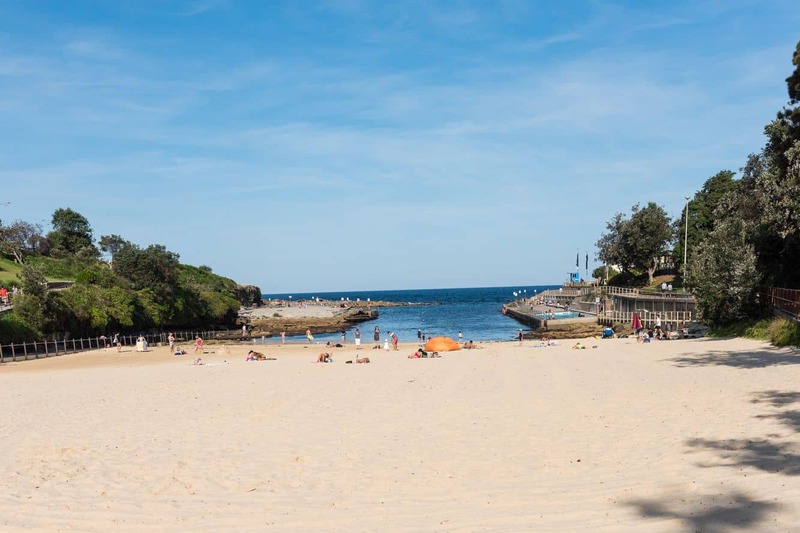 Its location between Gordon’s Bay and Bronte Beach makes it a perfect destination for a day trip. The concrete platforms built on both sides of the bay provides an amazing place to unwind with stunning views of the island. The kids have a chance to play in the waters as the adults relax and enjoy the afternoon. There is also a saltwater pool on the southern end of the beach, with a ramp leading into the pool giving people with mobility challenges easy access to the waters. 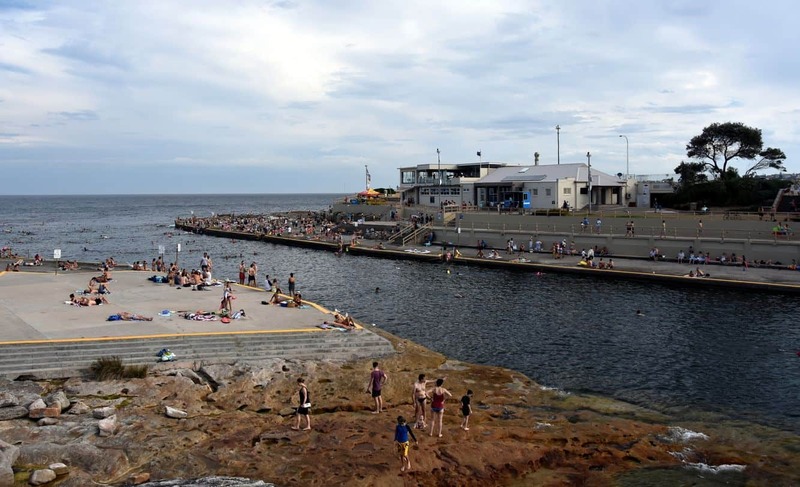 Clovelly Beach is also famous for sun-bathing, so it is not unusual to find groups of people soaking in the sun and great scenery. Best of all, there are access steps that lead to the water, creating a seamless connection between the beach and the waters. 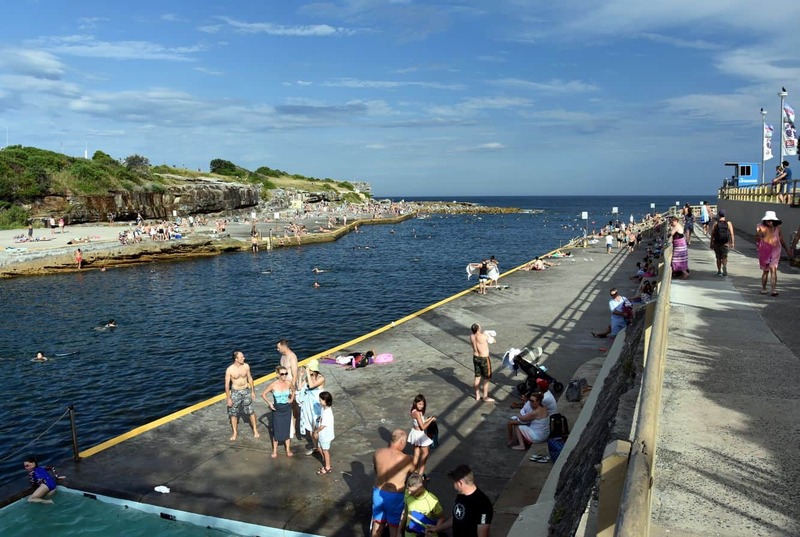 In addition to swimming, another activity that beach goers can enjoy at Clovelly Beach is snorkelling. The popular snorkelling spot boasts diverse underwater marine life for an unforgettable experience. Look out for the Blue Groper, a large type of wrass that is easily identified by its deep blue colour that makes it easy to spot. The Seasalt Cafe is an excellent place for a meals and fresh seafood. Here, you get to dine as you enjoy the sea breeze and listen to the waves crashing in the background. Other amenities available at the beach include public washrooms, changing facilities as well as free parking on the street. 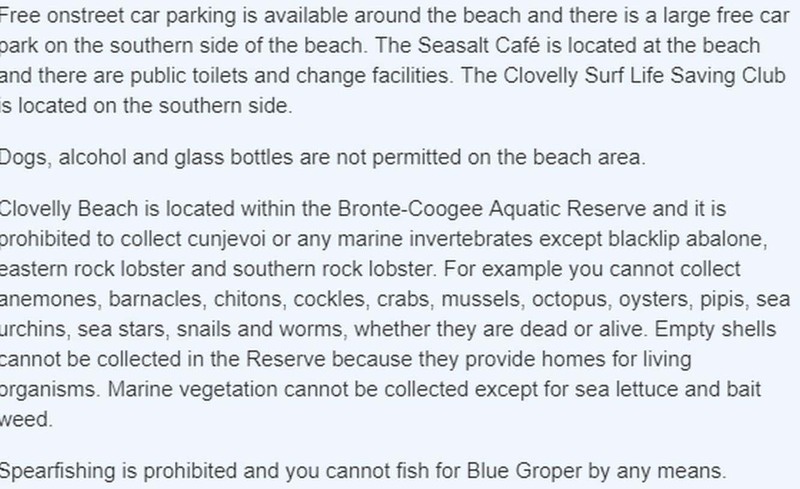 Pets are not allowed and alcohol use is prohibited, as is illegal fishing of the Blue Groper. 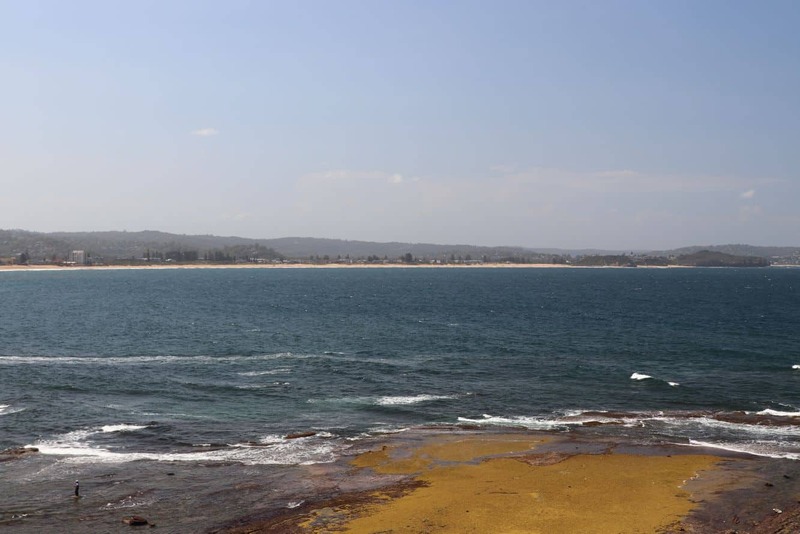 Clovelly Beach is located just 10 kilometres from Sydney on the Donnellan Circuit.